They are everywhere. In our handbags, briefcases, jackets. They are black, gray or screaming colorful and they are available in a variety of shapes: portable USB flash drives. This fact is all the more extremely astonishing, as in “cloud-times”, flash drives seem like a relic from a bygone era. To be clear: USB is out! 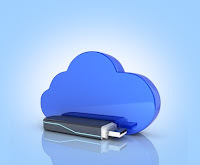 Instead, cloud solutions offer a secure alternative for transmitting and storing sensitive data material. Nevertheless, portable USB drives are still spread as a giveaway, support home-office workers and serve as a popular tool for fast data exchange. Let’s take a look, what happens with sensitive data on USB and in cloud environments. A secure exchange of data over the cloud is permitted by TeamDrive. TeamDrive is a collaboration software and service to sync files easily and securely with 256 bit AES end-to-end encryption using the TeamDrive cloud or the client server. Thanks to end-to-end encryption only the user to whom the data was sent is also allowed to read it. The solutions of the Sync & Share service provider correspond to the high security requirements according to Paragraph 203 Criminal Code for professional secrecy. By end to end encryption and zero knowledge concept TeamDrive protected data is completely safe from unauthorized access. In addition, versioning and immutability help to secure data in the best possible way. But: If you choose an USB, what does that mean for the sensitive issue of data security? Security and USB flash drive do not belong together for two important reasons. The first reason: the flash drives are too small. The second reason: saving data does not mean that the sensitive information they contain is automatically protected. Small is good, one may think. Unfortunately, nothing could be further from the truth: It’s the small thing that can be lost too easily. Countless flash drives are forgotten in hotel rooms, or simply fall out of one’s bag. If these portable data carriers are found, the finder only needs a few minutes to read them out. And these few minutes are fully enough to pave the way on potentially explosive data material - without leaving traces behind. Sensitive data on the flash drive is only safe as long as it remains in our hand. As soon as we remove it, third parties can easily access the information they contain - for only the fewest USB flash drives contain encrypted data. Do not risk anything concerning the sensitive issue of data security. Remember that, thinking about fast and secure data exchange.